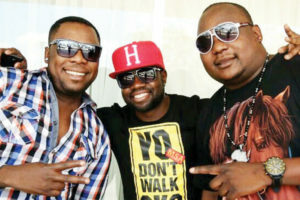 FRIDAY night started on a high note for Lusaka residents who flocked to the Barclays Sports Complex in droves for the much-anticipated launch of JKâ€™s Telemundo Loving album. Appalling crowd control and poor organisation on the night triggered a disgraceful spectacle as throngs of people were stopped from entering the venue while the show had already taken off. Snaking queues of fans lining up to get their tickets at the last minute could also be seen outside the complex which added to the heightened disorder. From inside all â€œseemedâ€ to be going okay but the reality that obtained on the ground outside the complexâ€™s gates was utter chaos. 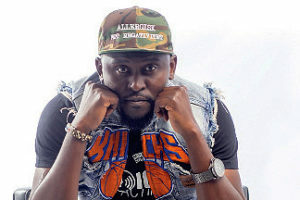 In the midst of the confusion, the artiste Exile, now called Israel, who was performing on the night, also found himself subjected to the commotion outside when he arrived at the venue of the event. An awkward-looking Exile was then forced to wait outside the complexâ€™s main gate along with a rowdy crowd of frustrated fans. Eventually, the fans were let through in rough fashion, carrying with them an extraordinary amount of patience for all they were put through. 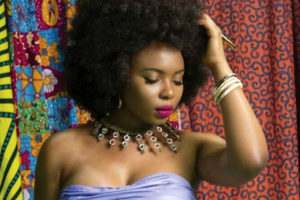 After a range of performances from the lesser-known acts to the more popular ones, such as Chef 187 and Slap Dee, Nigerian guest artiste Yemi Alade of the Johnny fame finally took to the stage after 23:00 hours. She only performed three songs, including her current hit Johnny, which the hyped crowd happily sang along to. Alade was a feisty entertainer during her set and her stage theatrics kept the crowd consistently engaged. JK, as predicted, was dressed to the nines for his show and took his fans down memory lane before singing some of his latest hits. The audience also witnessed the brief reunion of the Kalifunku pair Black Muntu as well as guest appearances by artistes such as Hamooba, Afunika, MC Wabwino and Israel. Even as the show ended in the early hours of Saturday, the overhyped crowd only seemed to be getting warmed for the weekend.